Our local Gunnedah RSPCA branch is a non-profit organisation made up of a small group of very dedicated and compassionate people who volunteer their time to help rescue the animals in need throughout our community. This includes rescuing animals from the local pounds that are on death row, taking on unwanted animals and those that are involved in cruelty cases, then giving them a second chance by fostering them in our own homes and giving them everything necessary so they can enjoy their new life with a new family and a forever home! Hi my name is Sammy, I was born in care. I love to play with all my kitten friends. I love chasing the broom and everything that moves including my foster mums legs and the dogs tail. I get along with small dogs if they like cats. I am a very clean cat and always use my kitty litter. I am not a fussy eater and love sitting on my foster mums lap and wait until she drops something. I love cuddles and playtime with my humans. I also like to sleep with my humans in bed. It's so warm and cuddly. I am a special Cat. When I was 5 months old my foster mum noticed something in my eyes which turned out to be cataract. It means I could potentially become blind later on in life. As for now I can still see pretty good. Besides lots of love, cuddles and food I need to be an indoor cat only. Or have a cat enclosure so I can't get lost. I know you will fall in love with me once you look me in the eyes and I promise I will love you forever. My adoption fee is $150 which includes: Desexing, microchip, worm/flea treatment, up to date vaccinations and a vet health check. 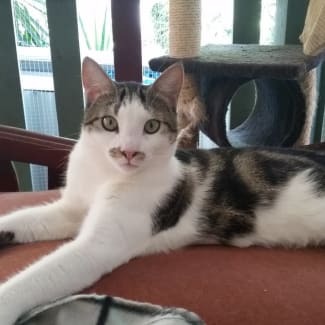 Hi my name is Benny, I came into care with my sister as young kittens, we were quiet scared of people but over time have gotten a lot more confidence. My sister has been adopted but I am still waiting. I am still a little bit shy, I do enjoy sleeping on my foster mums bed and love to play and pouch when I see a foot move! I can also be pretty affectionate and rub around their legs when I feel comfortable. Sometimes I get frightened of certain situations or noises and go and hide where I feel safe. 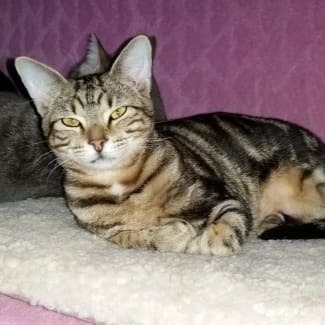 I get along well with other cats but would suit a home where there is no dogs or small children. I will need time to adjust to my new surroundings and new family and you will have to spend time gaining my trust and showing me that you are safe and make me feel comfortable but once you get me there we will be friends for life. Hi my name is Shadow, I am a very friendly and happy-go lucky girl! I love playing with other dogs and running around. I love pats and attention. I am a good girl who loves to go for walkies! I walk pretty good on the lead. I am very eager to please which will make my training easy. 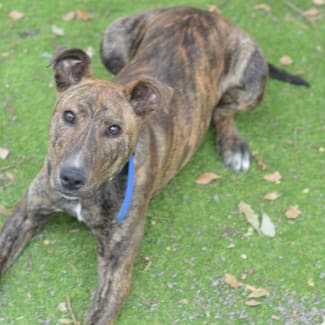 I will need a big yard to run around in and am looking for a family who will spend good quality time with me. Being a puppy I still need to learn to my manners. I have just learnt to sit for my dinner and am still learning I don't need to jump to show how much I love you. I will make a very loyal family dog.